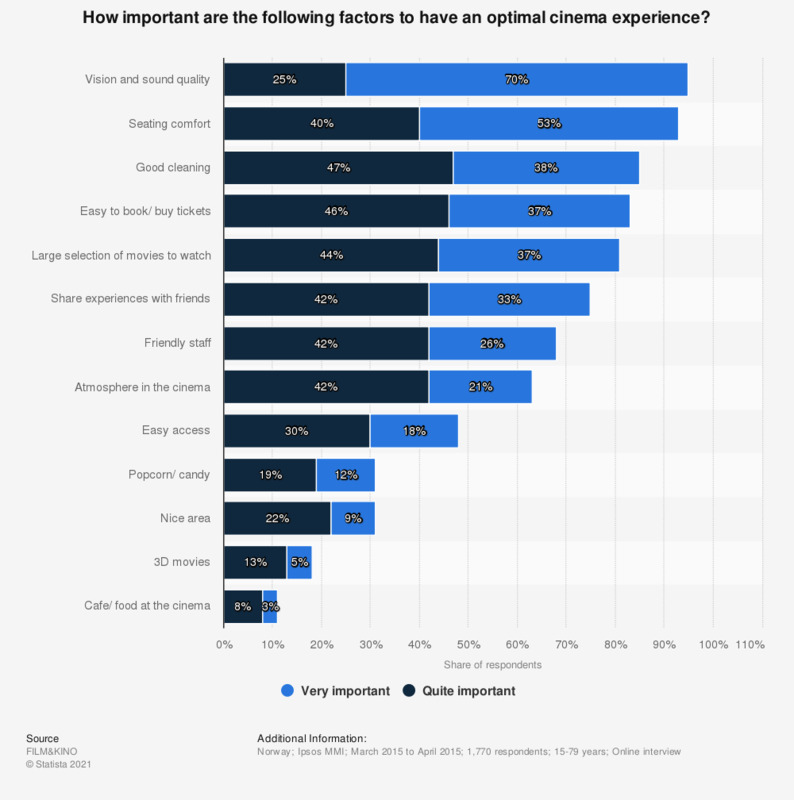 This statistic shows a suvey conducted in 2015 on factors to have an optimal cinema experience in Norway. During the survey period, 53 percent of Norwegian respondents stated that seating comfort is very important to have an optimal cinema experience. Who do you typically go to the movies with? What are the worst things about going to the movies?